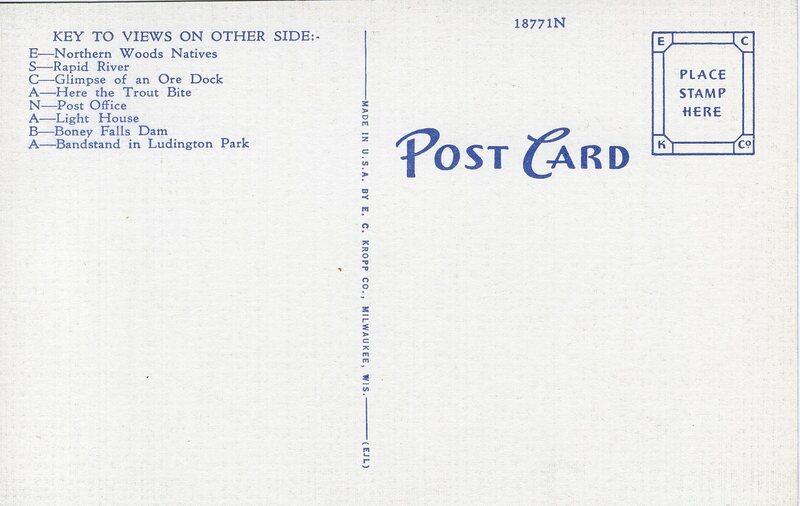 Although greeting postcards have always been popular, the cards reached their peak—at least from an artistic standpoint—with the distinctive 'large-letter' cards of the Linen Era. 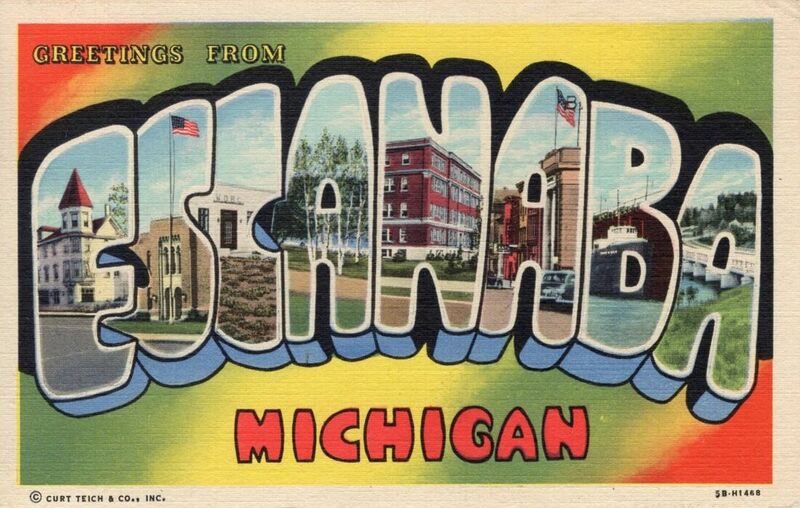 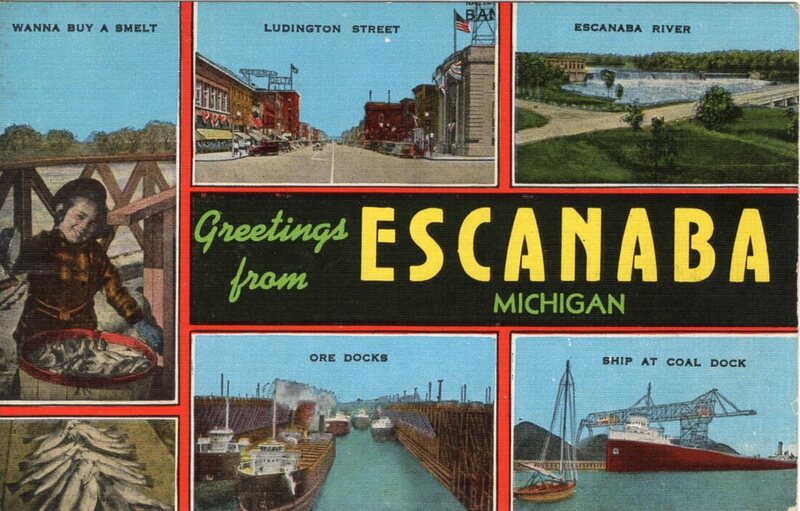 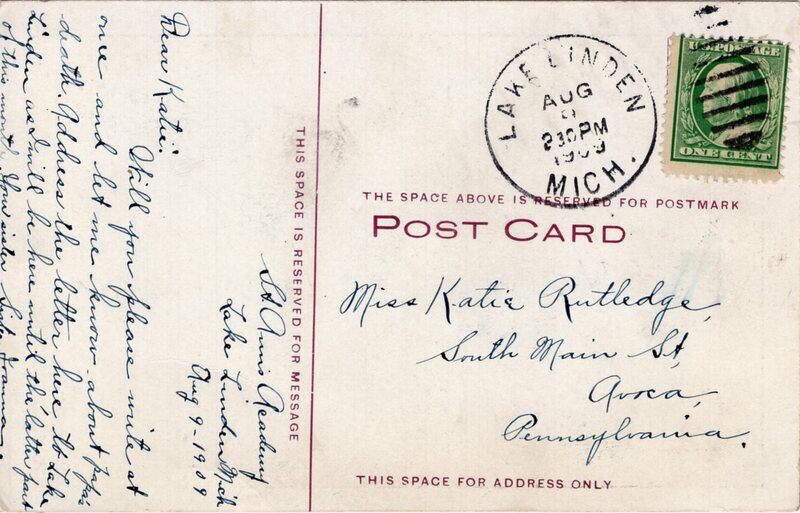 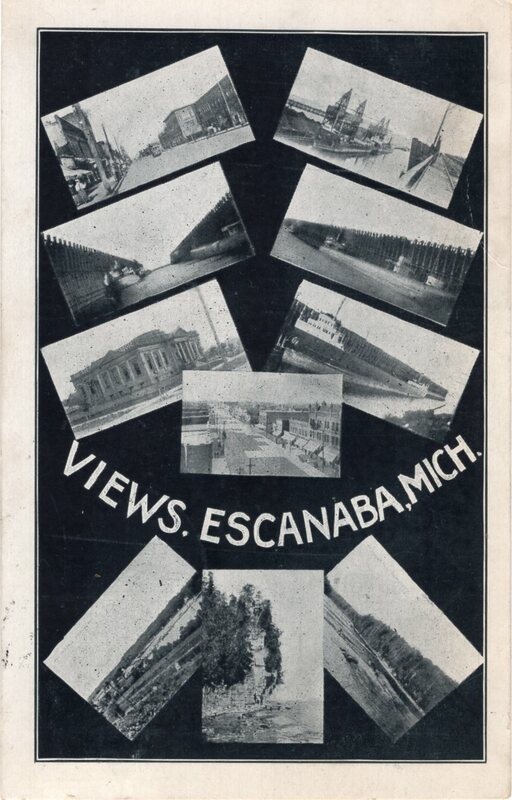 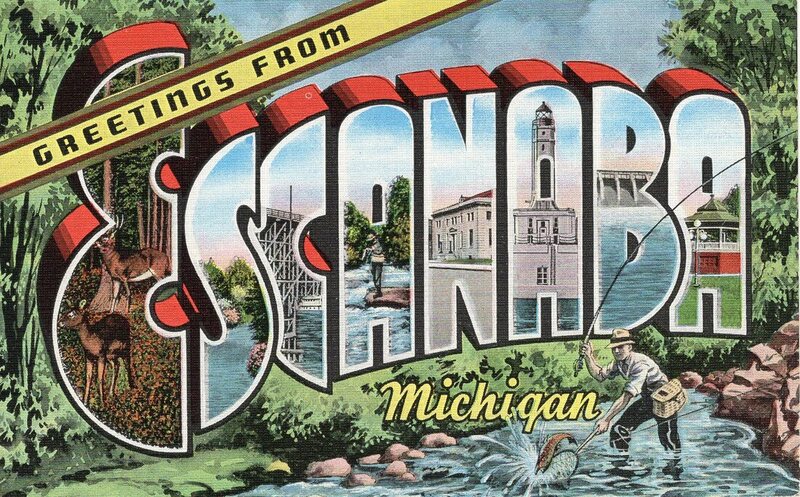 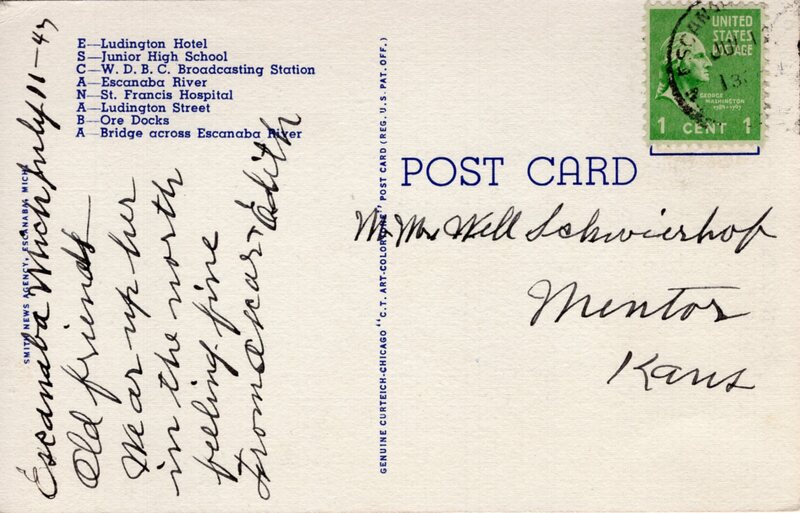 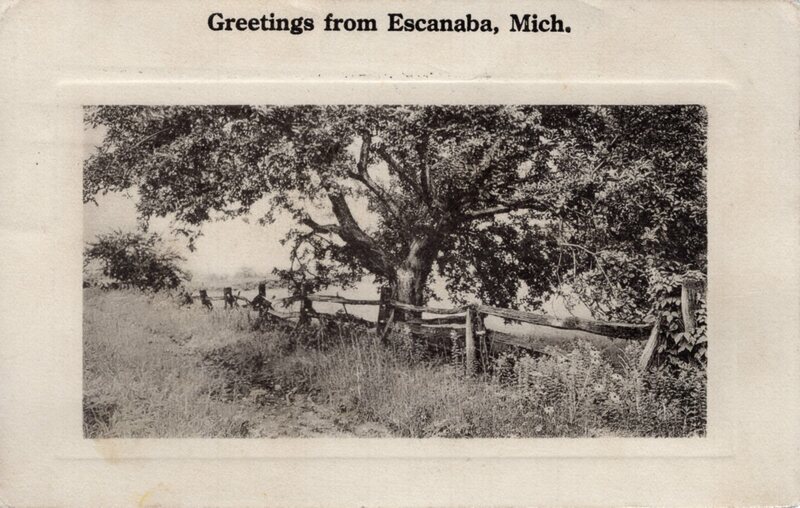 Many earlier cards depicting multiple views and even single-subject view cards were captioned simply "Greetings from Escanaba". 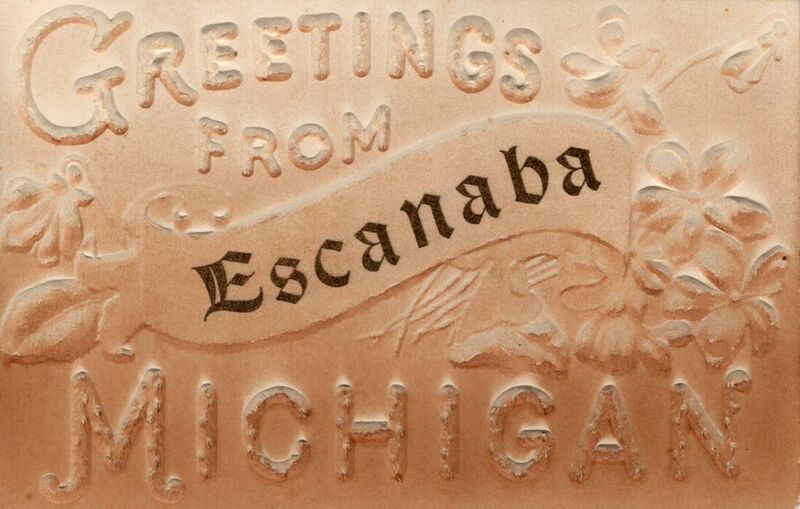 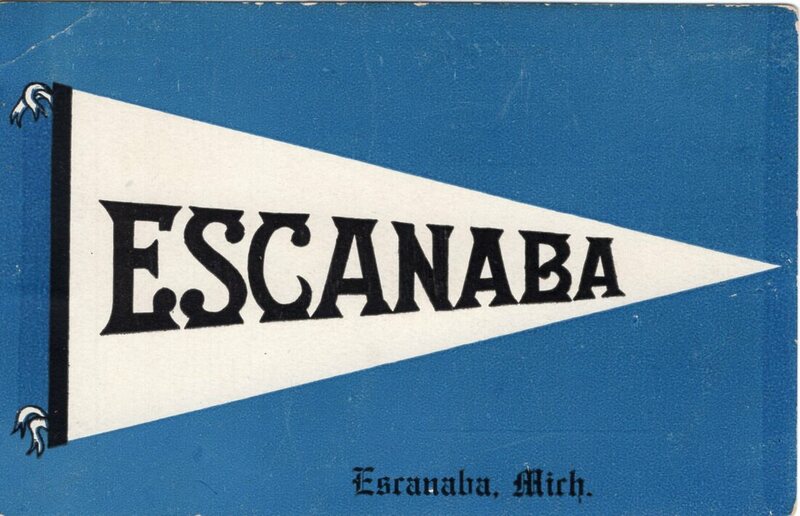 These, along with simple, text-only cards representing Escanaba, are also exhibited here.